I haven’t been writing much lately. I’m not much of a writer anyway, so it really doesn’t matter. Most of my time now is spent listening to music, new and old — and I use “old” in the very broadest sense, applying to recorded music from the 1920s onward — to determine what the next playlist for my radio show, Life Out of Tunes, should sound like. Some folks experience personal catharsis from writing. For others, like me, it becomes a task. It’s frustrating to “think” wonderful prose and not be able to transfer it to actual words on paper or a screen. My thoughts are fleeting. Perhaps I should take a cue from James Joyce and simply let my stream of consciousness flow out on to the keyboard or the notebook. That would work if I wasn’t so easily distracted by a tune playing in my head, or on the radio, or on the stereo. Now, most of the writing I’m able to accomplish is in the form of brief reviews for new CD releases. When I was a working library professional, I wrote more than a hundred brief (150 words or less) book reviews for Library Journal, mainly covering two subject areas. One was humor. The other could be described generally as the social impact of technology. Sometimes it was hard to tell the difference. Here’s one of my book reviews from 1999 I had framed along with a personally autographed publicity still of its author, Al Franken. Al’s book was titled Why Not Me? The Inside Story of the Making and Unmaking of the Franken Presidency. If you’re wondering into what category his book fell, it was humor. He was a merely a comedian at that time and didn’t run for a senate seat until ten years later. The book’s premise about a Franken presidency was funny. Franken’s actual political career in the Senate was serious. I wish he were still in office now and actually considering that run for a Franken Presidency. No, I haven’t framed any music reviews. Yet. They’re not actually published anywhere other than in a DJ discussion group for the community radio station, Asheville FM, where I volunteer as host for Life Out of Tunes, the radio show. Among other things, I’m a reviewer of new music. In a year since starting there as a DJ, I’ve written and posted about thirty or so reviews. The hundred book reviews I wrote for Library Journal spanned about twenty years, so I should be hitting my stride soon. Beginning Saturday, October 27, 2018, Asheville FM will enter it’s week-long Fall Fund Drive. The goal is to raise $30,000 during that time. Even for a volunteer-driven, community radio station that broadcasts locally and streams its signal worldwide via the Internet, listener support is crucial for our ongoing operations. Please consider giving any amount you can to support community radio. And thanks for listening to Life Out of Tunes on Asheville FM! Most of you know I have a weekly music show on a local community radio station in Asheville. As a matter of fact, it goes by the same name as this blog, Life Out of Tunes. It’s a joy for me to play music for a listening audience and it’s fun to know those listeners are not only from here in Asheville, but from anywhere in the country and perhaps the world. In order to make that happen, many resources are needed — human, technical and financial. The community radio station for which I volunteer, Asheville FM, is no different with regard to those needs. That’s why twice each year we hold fund drives. With spring now in full swing, we are celebrating the season with new ideas and new goals to make our commercial-free radio station even better and stronger than it is now! 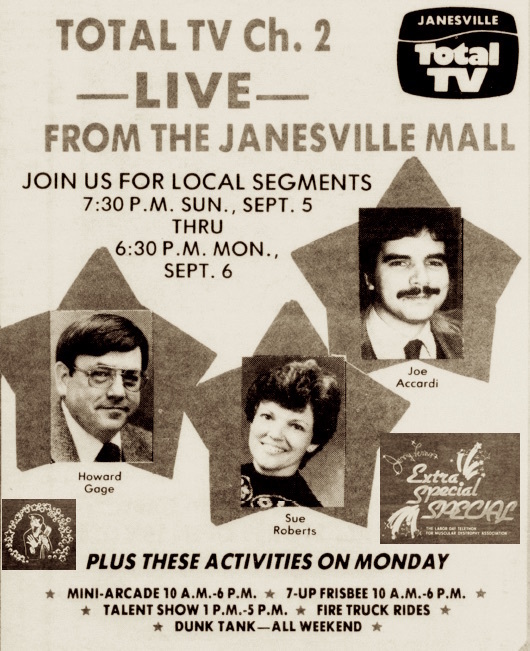 Later that year I was asked to co-host local televised segments of the annual Jerry Lewis Muscular Dystrophy Telethon alongside Janesville school district’s PR manager and the manager of Total TV. During the telethon I offered to shave off my mustache while on camera for a specific donation. I don’t recall the dollar amount. A donor called to offer the requested amount, but asked me to shave only half the mustache. His hope, he said, was that someone else would call with the same donation amount to shave off the rest. Someone brought me a can of shaving cream and a razor. I continued the telethon with only half-a-stache until a second caller made the rest come off. Another caller who recognized me from a Heavy Chevy gig requested that I recite the spoken interlude of a song, Little Darlin’ by the Diamonds. It was a song from the Heavy Chevy playlist, so I accommodated her request and she made her donation. 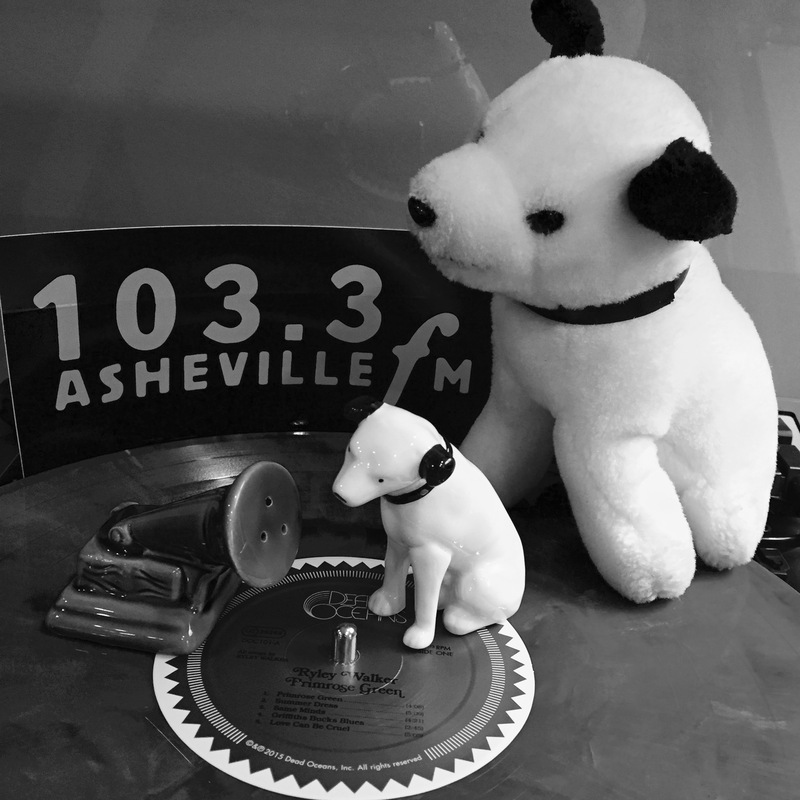 Please give generously to support community radio on Asheville FM ! Perhaps it’s a lingering librarian obsession within me. A way to catalog and shelve that playlist in my head. Or maybe it’s because I can’t think of anything else to write about. Either way, here’s an annotated edition of the playlist from my January 29, 2018 Life Out of Tunes radio show. Ernest Tubb – Walking the Floor Over You. This tune was floating around in my head for many years as I reminisced about running playbacks of The Ernest Tubb Show in a previous blog post. One thing missing from the radio broadcast was a visual of Tubb flipping over his guitar at the end of the show and displaying the word THANKS in big block letters stuck to the back of it. My No Left Turns bandmate and cousin Mike, whose dad was a country music fan, would do the same thing with his electric guitar at our gigs. Chris Rea – The Road To Hell (Pts. 1 & 2). Not only have I been a Chris Rea fan since the 1980s, but I have two friends, also Chris Rea fans, who would agree that we, as a country, are traveling down that road. This one was for you, Mike and Brad. Umphrey’s McGee – Forks. I confess to enjoying jam bands. The Grateful Dead have always been among my favorites. UM elevates it with scorching, jazz-infused solos and time signature changes accompanied by smart lyrics. The Rums & Coke – Glad All Over. Growing up in Wisconsin during the 60s, I knew many “garage bands.” but had never heard of this one until researching a recent post to Wisconsin Garage Bands 1960s, a Facebook page I admin. 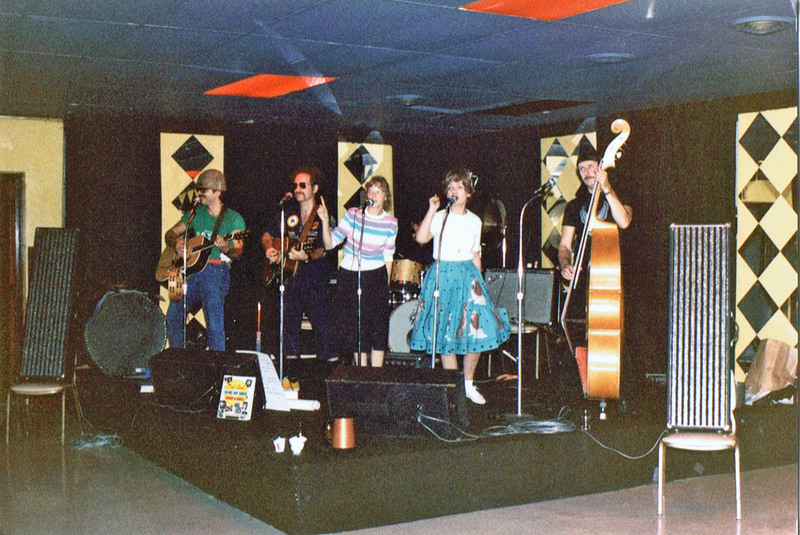 A five-piece, all-girl band from south of Milwaukee, the Rums & Coke were popular in southeastern Wisconsin. They recorded this Dave Clark Five song across the border in Chicago and released it as a single in 1966. Roxanne & Dan Keding – Little Drummer. Originally from Chicago, this talented folk duo moved to Wisconsin, near the town where I was working and where we became friends. I was invited to join them and four other musicians for a one-off fundraising gig, performing together as a 50/60s rock ‘n’ roll revival band, Heavy Chevy & the Circuit Riders. 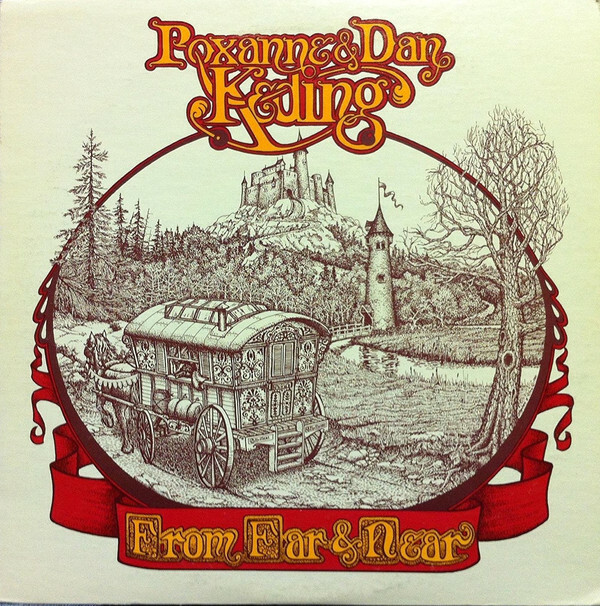 That aside, the Kedings recorded an album of traditional folk songs, From Far & Near, in 1980. It was followed by an album of children’s songs, In Came That Rooster, in 1981. I had both albums. They split up and eventually I split, leaving both LPs behind. I regretted it (leaving the records, that is) until I found From Far & Near at a used record store in Asheville, NC, 850 miles from where it originated! From far and near indeed! An old Irish folk song about love at first sight, I selected this track for Frank, my Irish friend. The Clientele – Lunar Days. If you caught a glimpse of either the super-moon or the lunar eclipse last night, you’ll understand why I spun this tune. The Broadcast – Battle Cry. Threw in something from a great Asheville band featuring an equally great vocalist. Hot Tuna – Water Song. Sylvia (the one with whom I moondance) and I heard Jorma Kaukonen and Jack Cassidy (a.k.a. Hot Tuna) shred this guitar instrumental in concert a couple years ago. Hope you enjoyed reading the stories behind each song on this week’s playlist! If you missed it, you can still listen to this Life Out of Tunes show through Monday, February 5, 2018 by following the link: https://www.ashevillefm.org/show/life-out-of-tunes/ and clicking on the “Play Archive” button. Peace! Waking up grumpy on Mondays? After your morning coffee and a quick walk around the neighborhood with Fido, you might be heading off to work. Or perhaps you’re not working, whether by choice or by circumstance. Whatever the case may be, figure out a way you can listen to my new radio show, Life Out of Tunes, on Monday afternoons at two o’clock on Asheville FM. It could brighten your day. I know what you’re thinking. You’re thinking Accardi has sunk to a new level of cheap self-promotion. I can assure you that is not the case. Maintaining this blog isn’t cheap! My first show will feature a sampling of great music from Chicago which has had an influence on me. 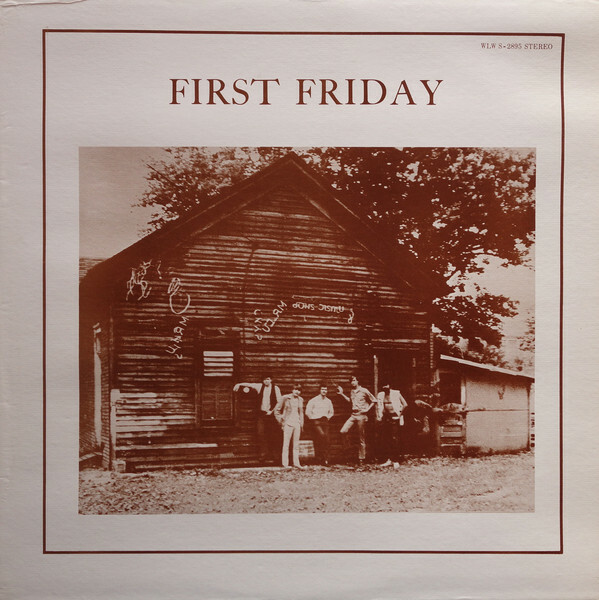 Tunes, old and new, from the Mauds, the Siegel-Schwall Band, Steve Goodman, Patricia Barber, Koko Taylor, Rotary Connection, Bill MacKay & Ryley Walker and the Safes, just to name a few. But I’m warning you. They won’t be the “hits.” This ain’t no oldies program. Together we can explore and enjoy a few deep tracks from these great artists. 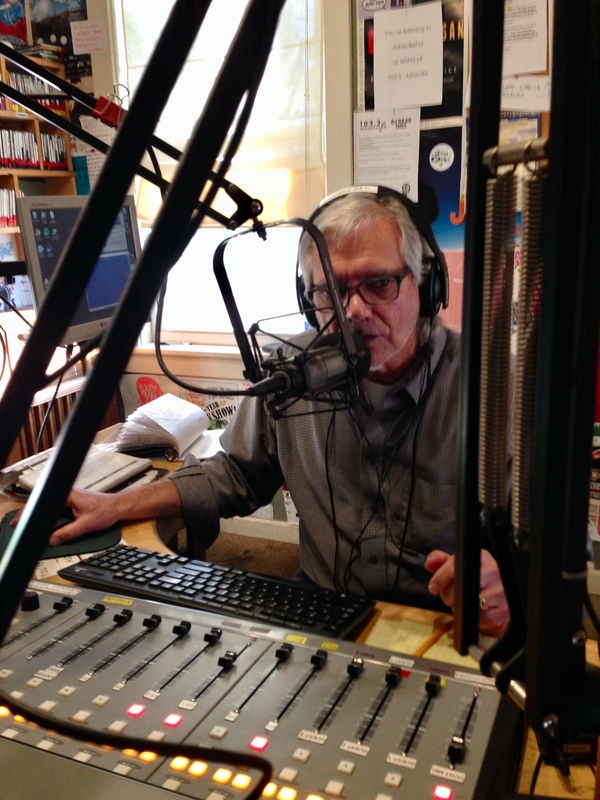 Life Out of Tunes on the radio, hosted by Joey Books, can be heard Mondays, 2:00 to 3:00 PM (Eastern) on Asheville FM (WSFM-LP, 103.3) and streaming worldwide at http://ashevillefm.org. I’m pleased to announce my new weekly radio show, “Life Out of Tunes” on Asheville FM (WSFM-LP 103.3). Asheville FM is a volunteer-based, listener-supported community radio station and I’m proud to be aboard! Broadcasting as DJ “Joey Books,” my show will begin Monday, December 4, 2017, airing weekly from 2:00 to 3:00 (Eastern) every Monday afternoon. 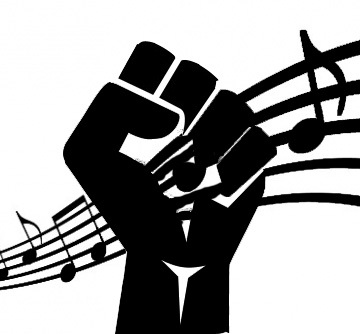 It will feature a freeform selection of music with connections to this blog, Life Out of Tunes. I’ll share a few memories and personal observations on the music that helped shape my life, so you can expect a wide variety of songs and an occasional story or two. Asheville FM streams worldwide at ashevillefm.org, where you can check out the entire on-air schedule and “Listen Live.” So tune in and turn it up!